I am chugging along on several new projects but they're just not ready to share. In the meantime here is an old project from way back in my toy school days. This is the first plush design I made in school. Sebastian is a pouty lipped frog, who is upset about having to go to school. His accessory is a lunchbox (you can check that out on flickr.) 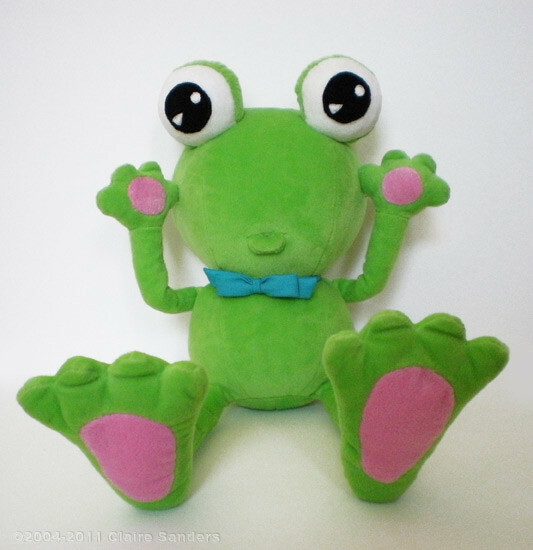 Even though frogs don't have pads on their feet, I added some contrasting pink ones just to make him that much cuter.